It was by chance that Chris Sullivan, vice president of sales and marketing for ChemSystems Inc. (a Houston-based manufacturer of architectural concrete products), accumulated years of decorative concrete industry experience. Armed with a degree in chemistry from the University of Pittsburgh, Sullivan started his first "real job" with Bayer Corporation in Pittsburgh, which at the time was the single largest manufacturer of iron-oxide pigments. There, he gained experience in marketing as well as working in the lab making samples, testing and doing color matches. 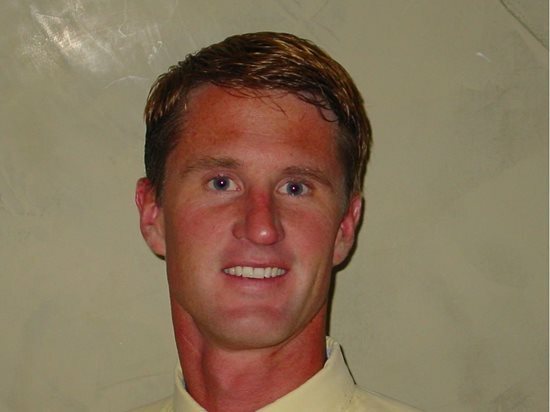 After three years, he went into sales for Bayer in Denver, where he sold pigments to block, paver, and specialty precast concrete manufacturers as a technical sales representative. Eventually, he moved into Bayer's polyurethanes division in Los Angeles as a technical sales specialist. "It was a great way to start in the decorative concrete industry, a great backbone," Sullivan says about the invaluable technical expertise he gained while working for Bayer. 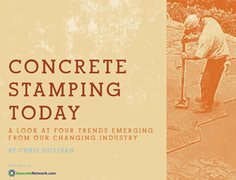 Concrete Stamping TodayDiscover four emerging trends in concrete stamping from ConcreteNetwork.com’s new e-book. You’ll also get insights and advice from veteran installers that will help you stay profitable in today’s market. 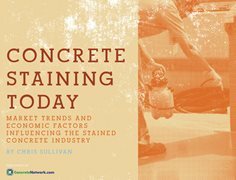 Concrete Staining TodayDiscover four emerging trends in concrete staining from ConcreteNetwork.com’s new e-book. You’ll also get insights and advice from veteran installers that will help you stay profitable in today’s market. This experience was a good primer for Sullivan when he began working in 2000 for QC Construction Products, a manufacturer of decorative concrete systems. But he wanted to expand on his technical knowledge by actually getting out in the field. "When I started at QC, I lacked installation experience," he admits. "So I volunteered to work with installers to learn that part of the job, and I did lots of reading and got dirty doing hands-on work." Sullivan started with QC as a district sales manager, before being promoted to regional sales manager, then national technical director. In this role, he was responsible for answering technical questions about decorative concrete from sales reps and customers nationwide. He also began speaking about troubleshooting decorative concrete at the World of Concrete. When QC Construction Products closed its doors in February 2009, Sullivan was offered anownership position with ChemSystems, and the opportunity to fulfill his dream with a company that has been serving the decorative concrete industry since 1984. "Our tag line is 'combining art and science in concrete,'" says Sullivan. "We specialize in hard-to-find decorative products such as tint systems, custom packaging and repair systems. As vice president of sales and marketing, I will be working to expand the company's decorative concrete product line and to pursue new markets. However, customer service, product training and problem solving will still be at the heart of what we do." "Decorative is this offshoot of the concrete industry, where there's an artistic element as well as engineering and science," Sullivan says. "I see some contractors biting off more than they can chew. The processes for decorative concrete are unforgiving, especially when you cut corners or don't follow guidelines." Sullivan adds that another pitfall is underestimating the schedule of steps involved and the environmental influences on concrete. "There tend to be a lot more secondary factors at play, such as temperature, humidity, dew point and ventilation," he adds. "These are all learned by experience, and by understanding the products and processes." Continuing education is at the top of Sullivan's list of things a contractor can do to keep on top of his game, and he encourages all contractors to attend classes, seminars and product demonstrations. "Everyone needs continuing education to improve the quality of their work," he says. "Be an expert, get good at the basics, understand the products and do your research. The Concrete Network is a great research resource." Sullivan also recommends getting involved when attending training, rather than just sitting back and observing. "Get hands on," he stresses. "On average, less then 5% of contractors get involved and do anything. Don't be afraid to ask questions and get dirty. People who ask and get involved succeed." Another key to success that Sullivan recommends is focusing on your specialty. "Don't get carried away with the artistic side of decorative concrete before you have the basics mastered," he advises. Mastering the basics is critical to achieving high-quality results and presenting a good image of the decorative concrete industry as a whole, he adds. "Bad jobs affect the whole industry. One job mistake can turn many people away from decorative concrete." While Sullivan hates to see good jobs go bad, he admits there will always be unknown or unseen variables that arise, which is where his troubleshooting expertise comes into play. "I like the chemistry and quantitative side of my job -- solving problems and giving solutions." As of 2009, Chris Sullivan has become vice president of sales and marketing for ChemSystems Inc. (a Houston-based manufacturer of architectural concrete products).